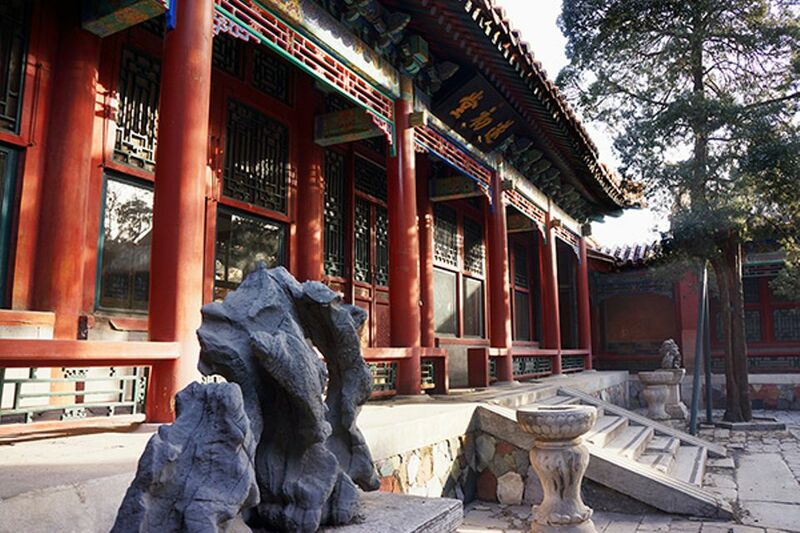 Entering the final phase of an ambitious conservation effort, the World Monuments Fund (WMF) has announced the selection of the New York architect Annabelle Seldorf as the designer of an “interpretation centre” at the Qianlong Garden complex in Beijing’s Forbidden City. The WMF has been working with the Palace Museum since 2004 on the restoration of the two-acre site, which comprises four courtyards, elaborate rockeries and 27 pavilions and other structures dating from the 18th century. 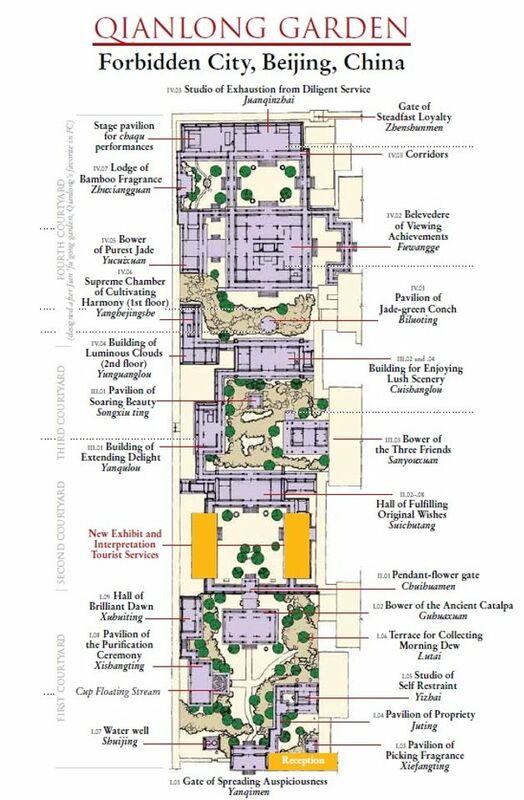 Construction of the interior of the interpretation centre, which will be housed inside existing structures in the complex’s second courtyard, is to begin late this year and will be completed in 2020, giving the public full access to Qianlong Garden for the first time, the organisation said. Qianlong Garden was built by the Qing Dynasty emperor Qianlong from 1771 to 1776 as part of his planned retirement complex. Its extravagant decoration and accoutrements, including trompe l'oeil silk murals, are seen as a high point in Chinese interior design and have survived relatively unchanged since China's last emperor left the Forbidden City in 1924 although many elements had fallen into disrepair. WMF said that Selldorf and her firm, Selldorf Architects, have designed the interpretation centre for orienting visitors in three halls surrounding an open pavilion. 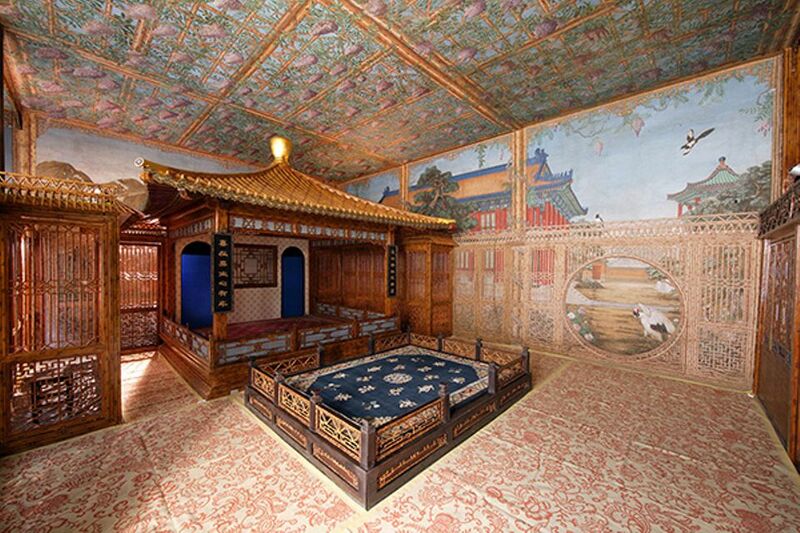 The west hall will be an exhibition space chronicling the creation of Qianlong Garden, possibly with a tabletop model of the complex, and the east hall will be devoted to explaining the conservation of the complex, including the restoration of elements like handmade wallpapers. The main hall will be an open expanse with a view of rock gardens. Selldorf will collaborate with the exhibition curator and Chinese art specialist Nancy Berliner on the content of each hall, the organisation said. Rather than present “the most high-tech, interactive bells and whistles, we want to give the flavor of the intimate scale of those spaces,” said Lisa Ackerman, interim chief executive of the WMF. “The emperor was such a fascinating figure that this should be dedicated to him and his life.” The long-reigning ruler was an experienced calligrapher and wrote poetry, she noted, and was renowned for his aesthetic tastes. Ackerman estimated the cost of the restoration at $18m to $20m, with training in architectural preservation launched in cooperation with the Palace Museum for students at Tsinghua University pushing the price tag to $25m. The 2020 opening is scheduled to coincide with the 600th anniversary of the completion of construction of the Forbidden City, which served as the home of emperors and the centre of Chinese political power for five centuries. Previous phases of the Qianlong Garden restoration project have included the conservation of the complex’s so-called Studio of Exhaustion From Diligent Service, the Belvedere of Viewing Achievements, the Lodge of Bamboo Fragrance and the Bower of Purest Jade. Work is still underway on buildings in the second and third courtyards. While the public was able to walk through exterior courtyards and the rockeries at Qianlong Garden in recent decades, the interiors were closed off to them. The access visitors will gain in 2020 is unprecedented. In a statement, Selldorf said she welcomed the opportunity “to create an opportunity for visitors to learn more about the gardens and experience their beauty and wonder firsthand”. Previous clients of the architect have included Neue Galerie in New York. LUMA Arles in Arles, France, Brown University and numerous galleries. She is currently overseeing an expansion of the Frick Collection in New York and another for the Museum of Contemporary Art San Diego, among other projects.